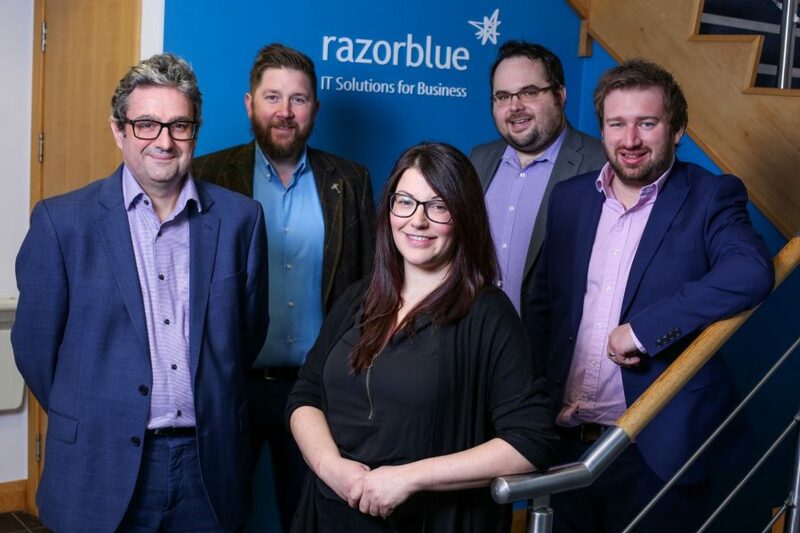 Industry-leading IT Managed Services firm razorblue has announced their expansion into the North West of England following the acquisition of the J-Media IT Managed Services business from Manchester based CMAP Group for an undisclosed sum. Founded in 2006 by CEO Dan Kitchen, razorblue has grown from just 2 employees to over 80. The expansion into the North West of England comes as part of razorblue’s vision to be the most trusted Managed Service Provider in the SME marketplace. CEO Dan Kitchen said “We’re excited to have expanded our business into Manchester. Our roots are in the North of England, and with our client base located throughout the UK, it makes sense to acquire a business who are already doing what we do, but in a different geographic location. We’ve grown our team of trusted experts through this acquisition and we’re confident that this addition to the group will enable us to not only continue to serve the existing clients of both razorblue and J-Media IT Managed Services, but also new businesses across the country”. The acquisition comes at an exciting time, following a 38% increase in turnover in 2018. With offices in Catterick, Wynyard, Leeds, London and now Manchester, razorblue provide Managed IT Services, Cloud, Connectivity & Business Software for a wide range of SMEs, business parks and public sector organisations throughout the UK. J-Media IT Managed Services clients will also be able to benefit from other products and services in razorblue’s portfolio including connectivity, cloud, and telecoms solutions. Previously owned by CMAP Group, the acquisition of J-Media IT Managed Services comes following the search for a company which aligns with the same ethos in terms of culture, attitude and providing a great service to clients. The acquisition has resulted in no change to razorblue’s board, with all 5 Directors heavily involved in welcoming the existing J-Media IT Managed Services team into razorblue’s dynamic team and ensuring existing clients’ contracts are fulfilled. razorblue pride themselves on service, and ensuring clients continue to receive the highest standards remains a priority. The year ahead for razorblue looks to be a busy one, and the dynamic company is proud to have commenced 2019 with a new team and office under their wing. The firm intends to re-locate to larger Manchester offices in the near future to accommodate future growth.